Your hairstyle says much about you. After all, it’s what leaves either a good or a bad impression from others. With the right haircut, you can leave a lasting positive one to anyone you meet at work, play or school. And whether for formal or casual occasions, a nice hairstyle will make you look even more appealing. 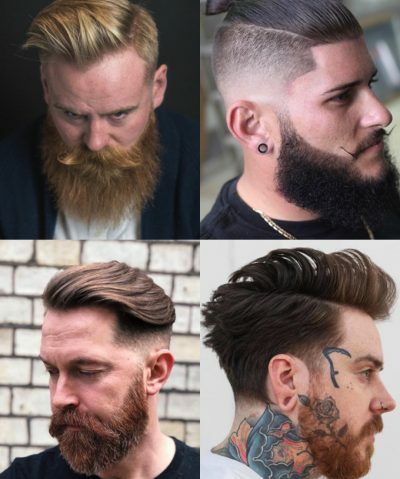 So just like choosing the right clothes, watch and socks, you must select the right short hairstyle for men – and let your search begin with the following clean, regular and simple haircuts for men of today. Before anything else, check out some tips on how to maintain your short hairstyle. Use hair care products when needed. A few of these include pomade, a gel or a hairspray. You may also want to use a mousse to dry or wet hair for hold. But for hairstyle requiring a stronger hold, you may want to reapply mousse more often, or better yet go for clay or wax. Ask your hairstylist about maintenance tips for your chosen hairstyle. Especially if yours have a longer top or a design, you may also need regular trimmings for it. 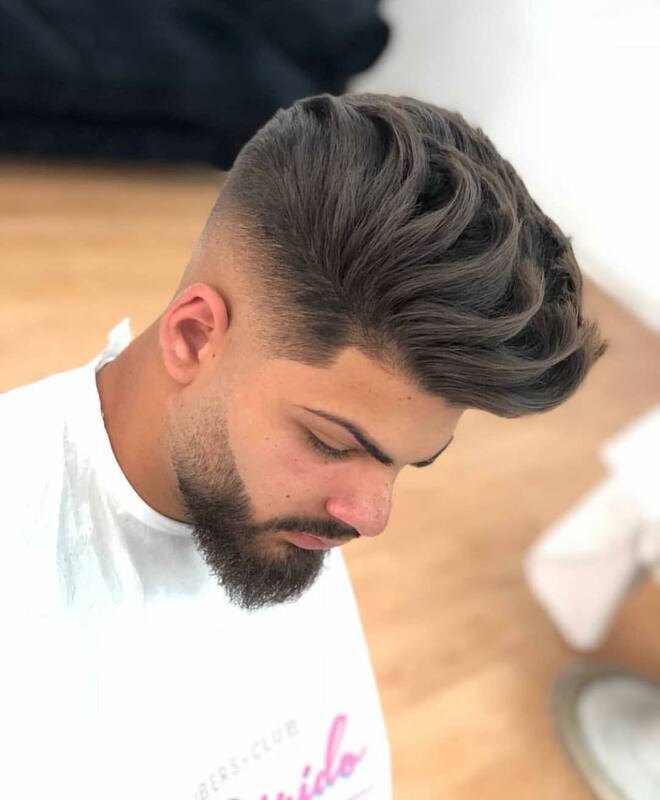 For inspiration on the short and simple haircut for men that you may want to consider, begin with the following list featuring the most debonair of all haircuts for men today. 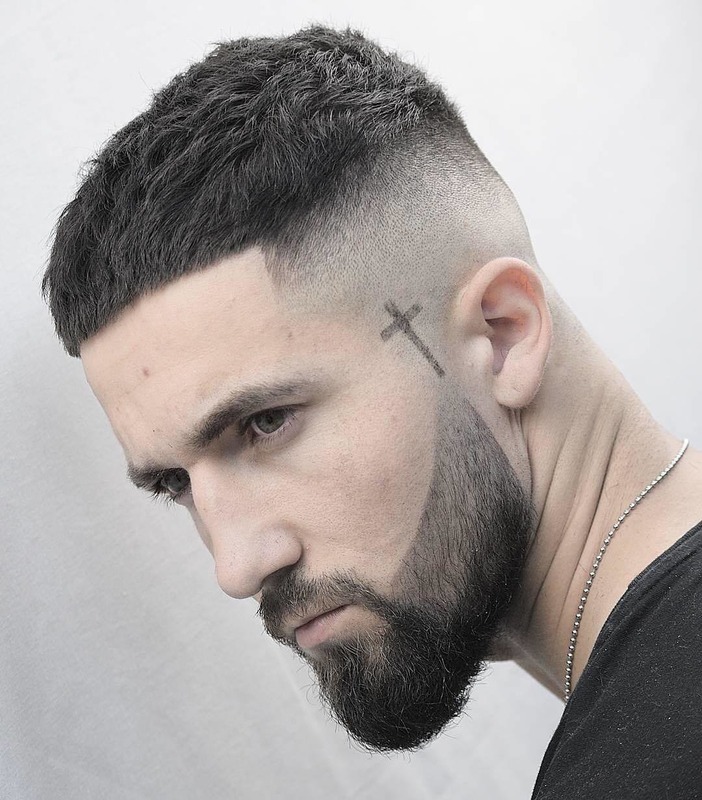 A bit thick on the top and cut close to the skin on the sides (plus a beard, this simple haircut for men looks awesome! Try it for a new look to your crowning glory. Turn an ordinary into a special day! 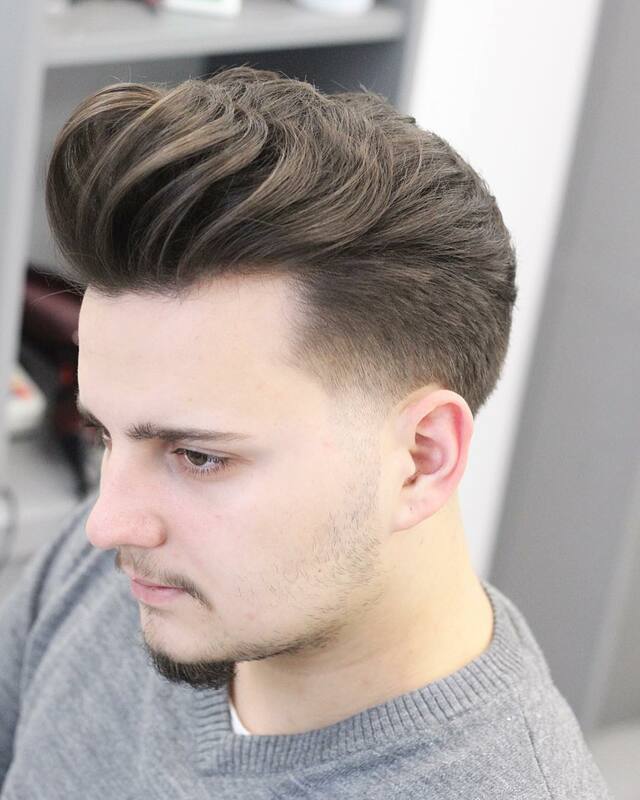 Emphasize your clean haircut with the classic quiff, one of the most loved hairstyles of all time. Just use the right maintenance products and keep it looking great! Side part? Create a clean and manly appeal for your crowning glory. Add some twist to it with the nice side part! Get regular trimmings for it to keep the look. 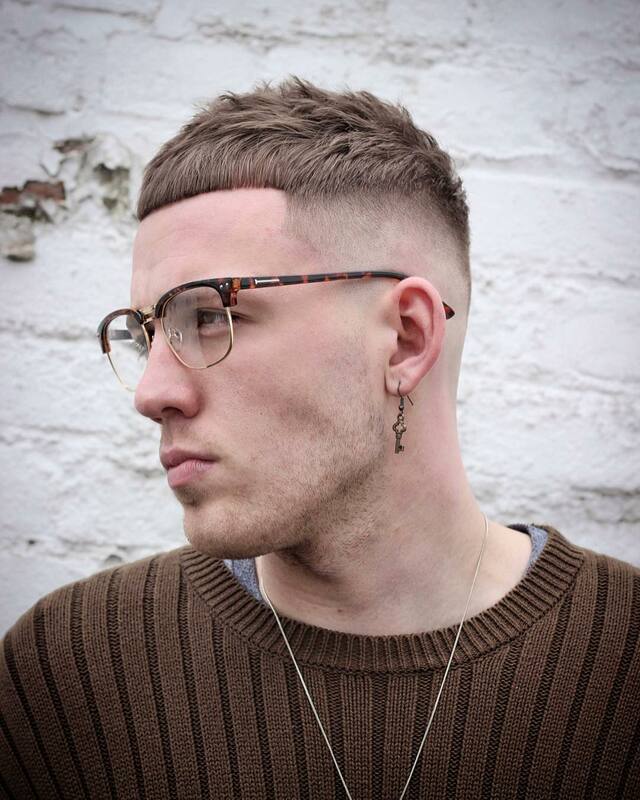 The drop skin fade is a timeless haircut for men of all ages and style. It is simple and clean to give you that dashing appeal. 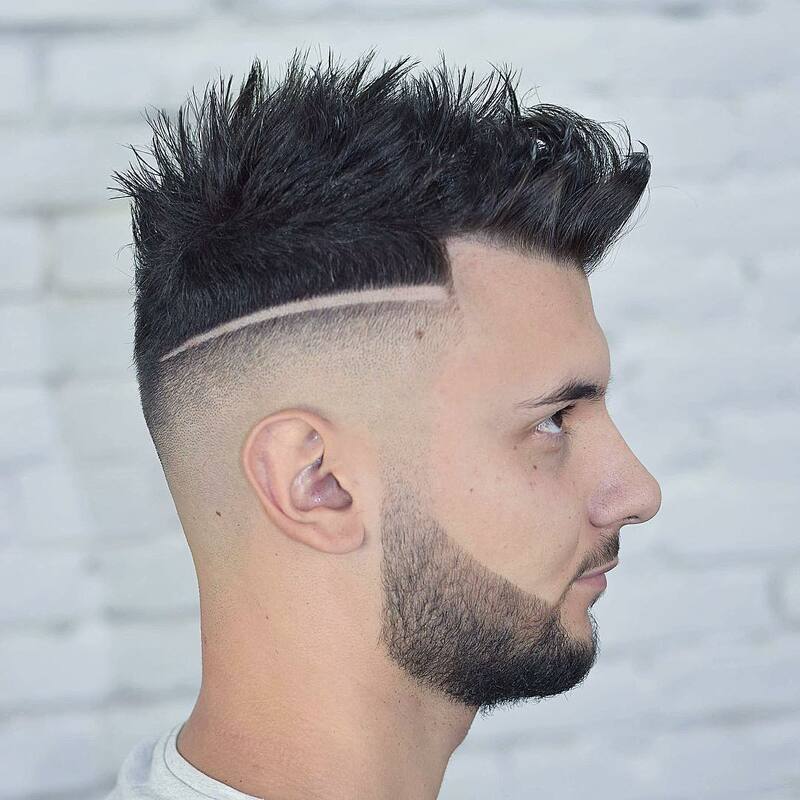 This clean cut with a line up is cut short all over. 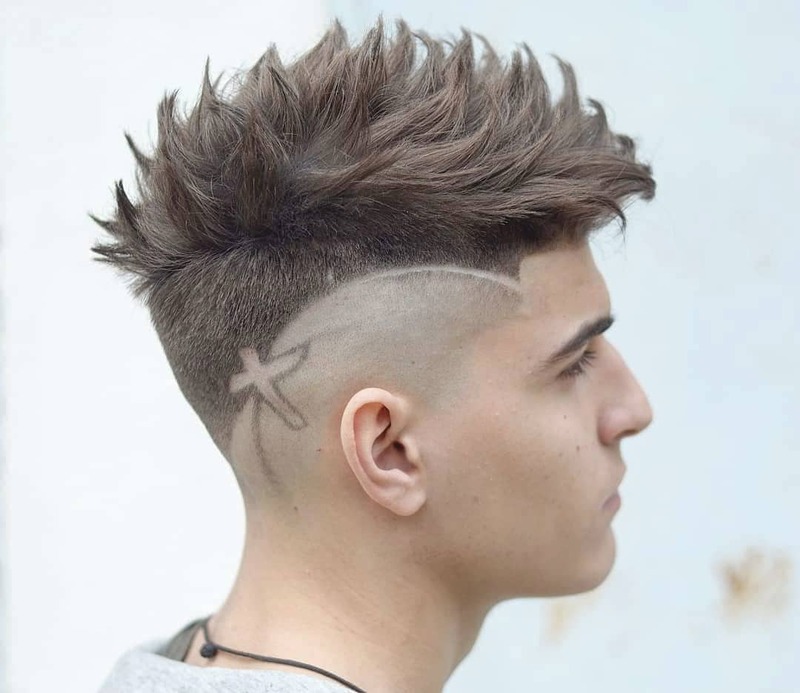 It looks neat and perhaps a great cut for the hot summer season. Check it out and ask your hairstylist about it today! The combination of the buzz cut and the crop cut is just perfect! It has the characteristics of giving that sense of style while also keep things simple to maintain. For an added twist, you can also have a hair design on the sides. 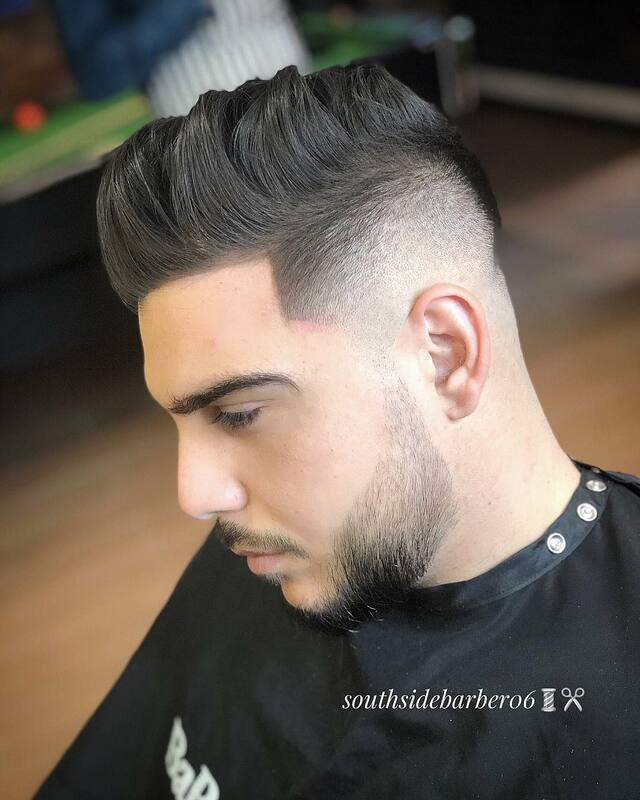 Up the fade game with a stylish and clean looking mid drop fade! You will never go wrong with the simple haircut that’s also easy to style in more ways than one. 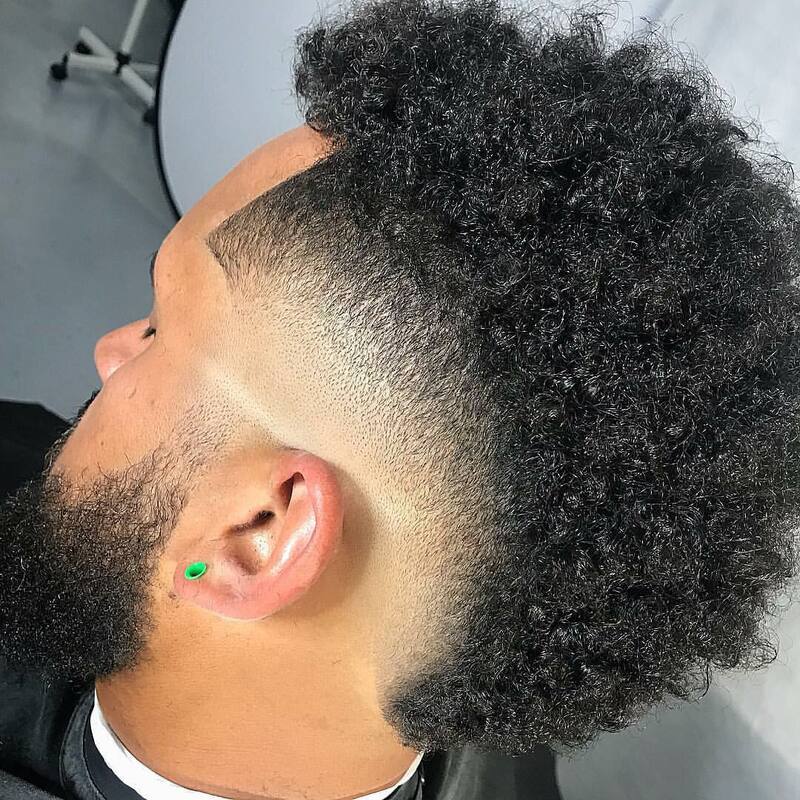 The wedge fade looks edgy and fierce. 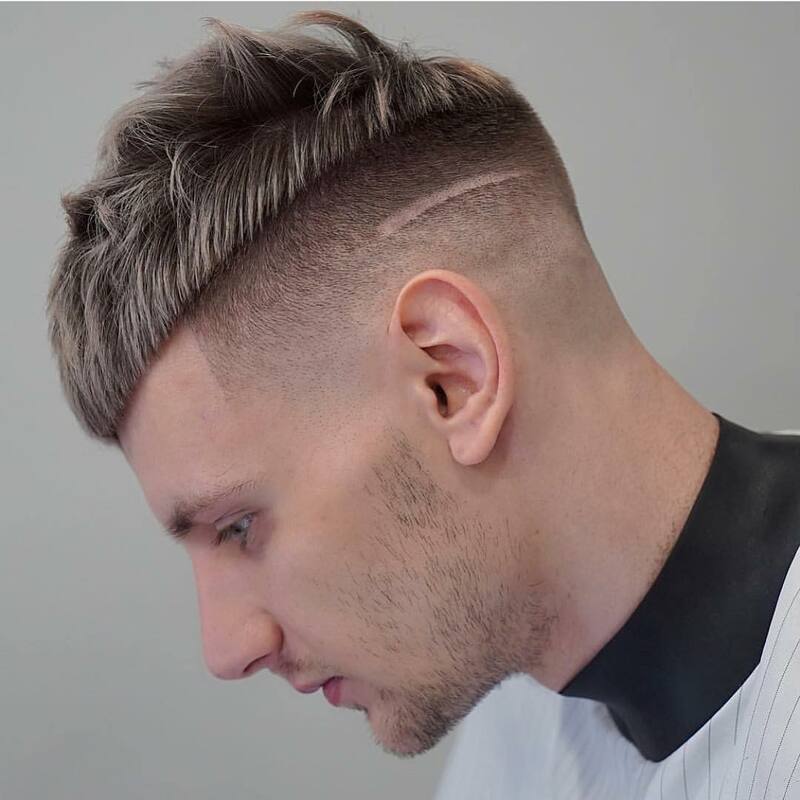 It’s the perfect look for professionals and young men who want to try something different for their clean haircut. 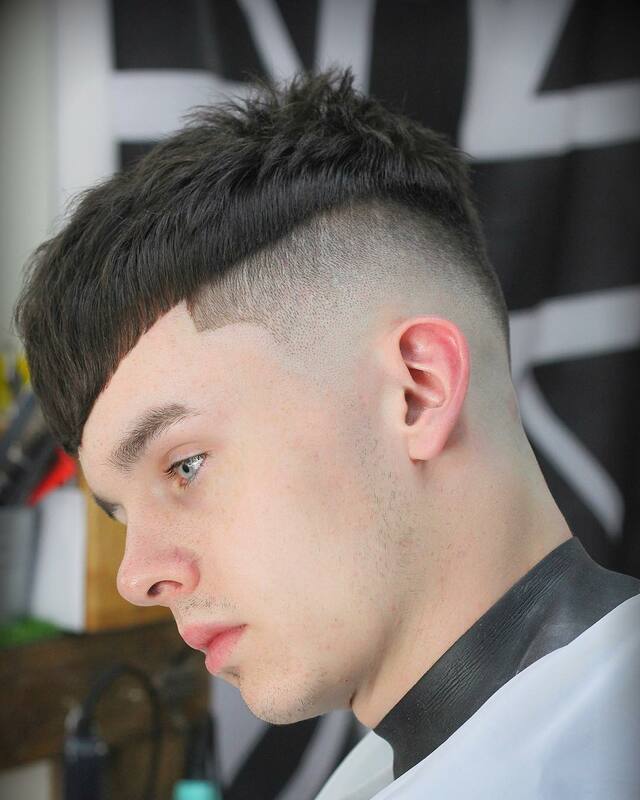 This is one of the best haircuts we’ve seen in a while. It is simple, clean and neat. Plus, with regular trimming, it is easy to maintain the look. Try it today! 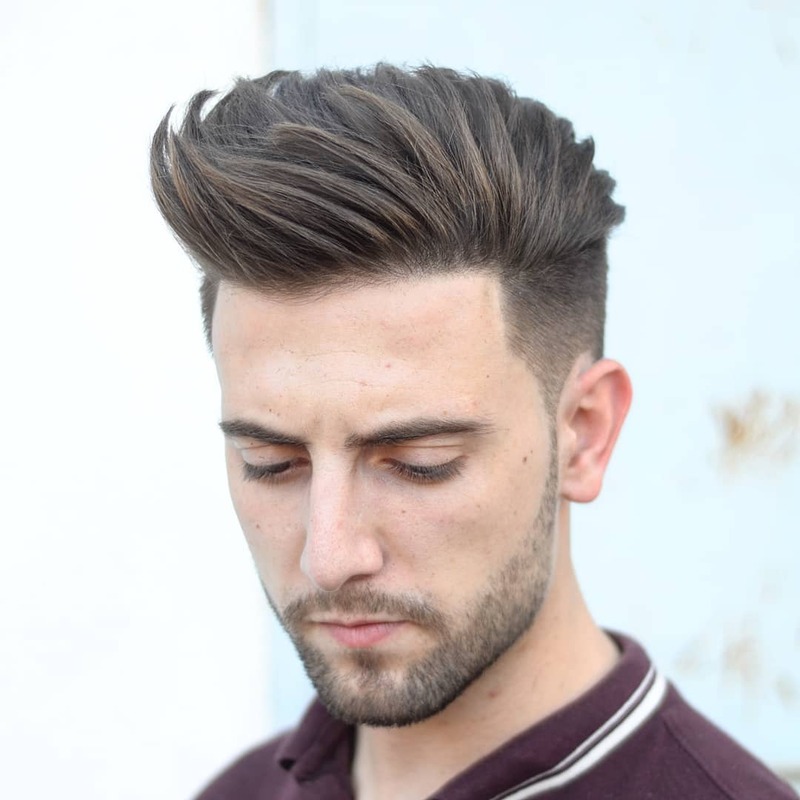 The hard part is the perfect summer hairstyle for men who want a less maintenance and a wash and wear haircut. It can make anyone look fashionable especially with the hard part that just looks so cool. 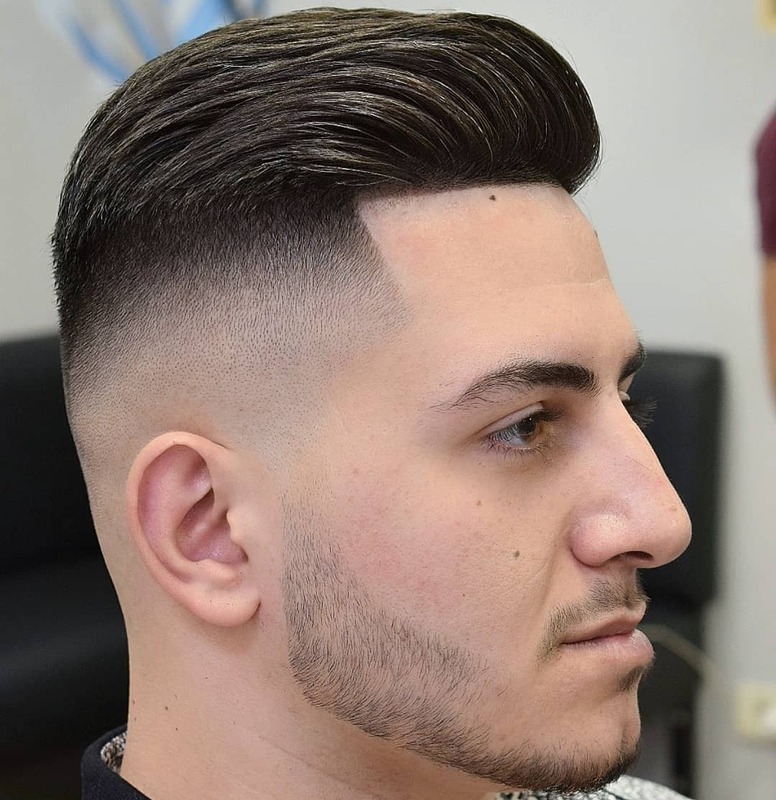 This sharp fade clean cut is chosen by men who want a light haircut to wear on any occasion and function. 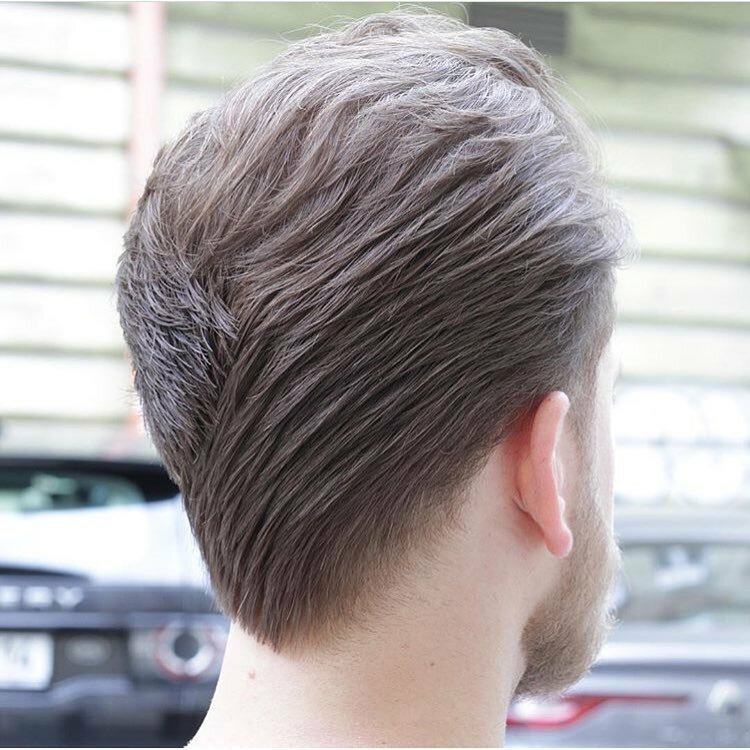 It is an easy to maintain haircut that needs only a few hairstyling products to keep the top hold. Try it now! 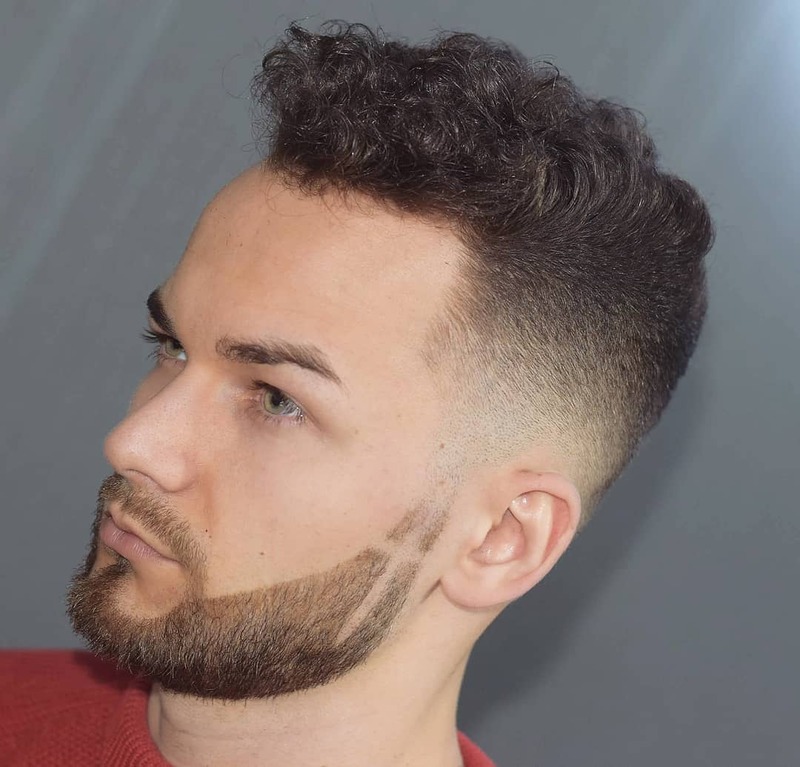 The curly plus beard part is an amazing hairstyle that gives your curly hair a new life and style. 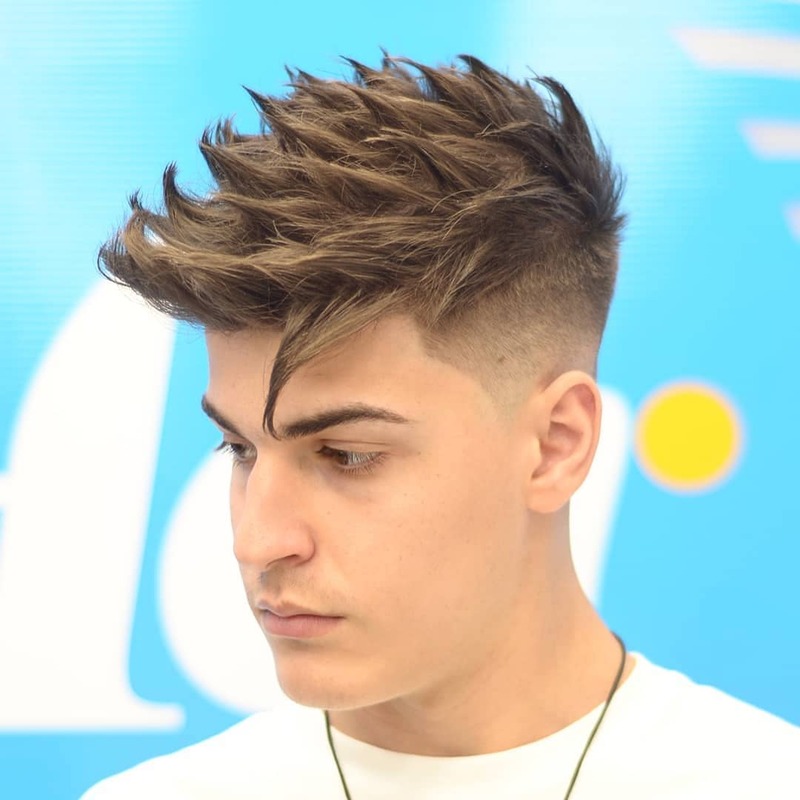 It is cut close to the sides with top hair left thick. It is a stylish hairstyle that won’t take much of your time to style. 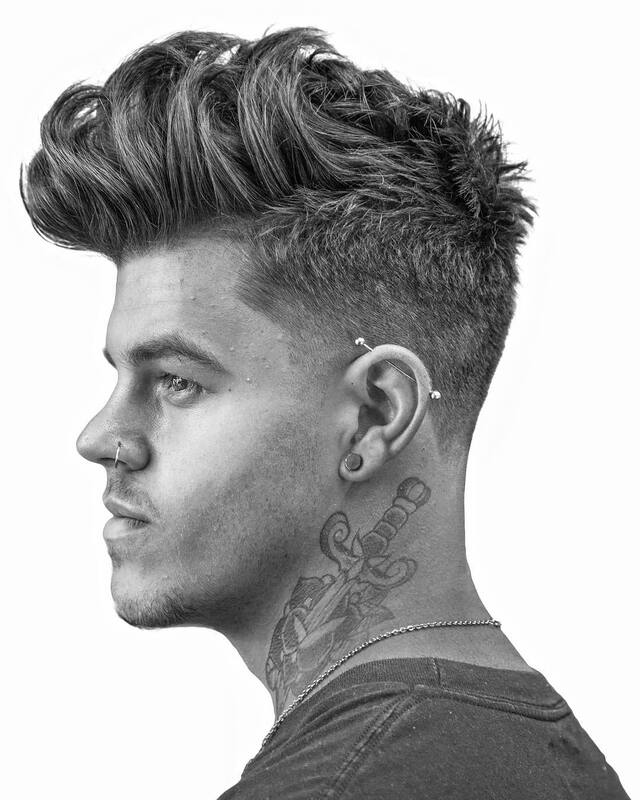 Whether you have a tattoo or none, you can check out the spiky plus Mid fade haircut that just looks iconic! Adding a beard can give it more life. Think about it, bro. 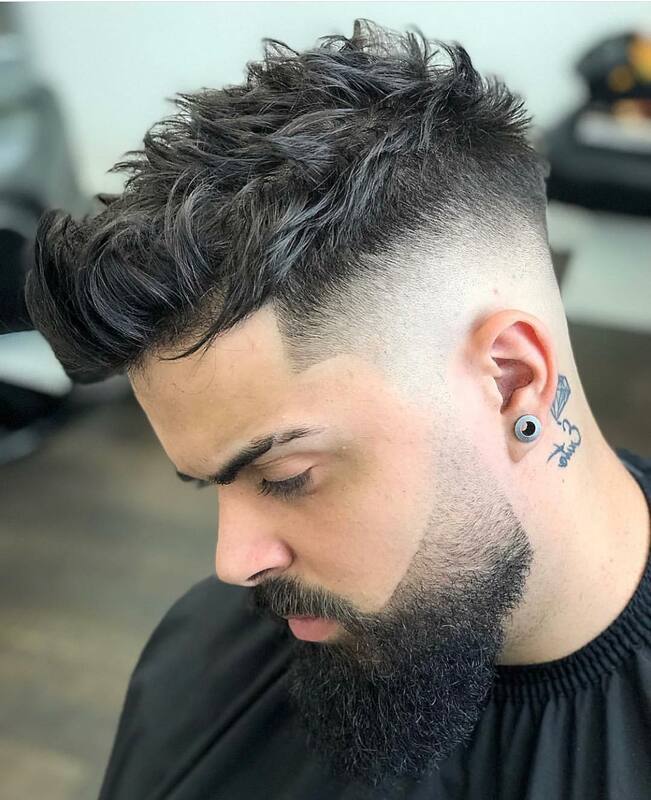 This mid drop fade hairstyle needs some maintenance and styling products to keep the hold. 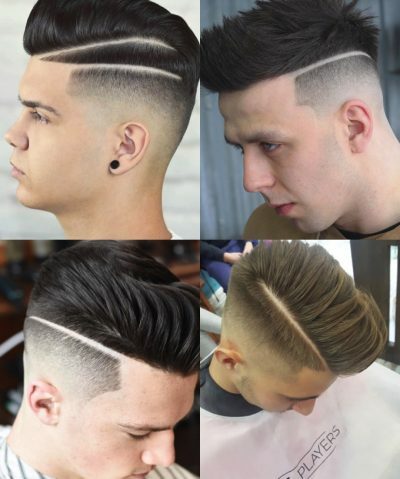 Worry not, as you can ask your barber for some useful tips and tricks to keep the life on this hairstyle. This long quiff reminds us of music icons and band members. It looks appealing to make every man look even more dashing and an envy for other men. Steal the look now! 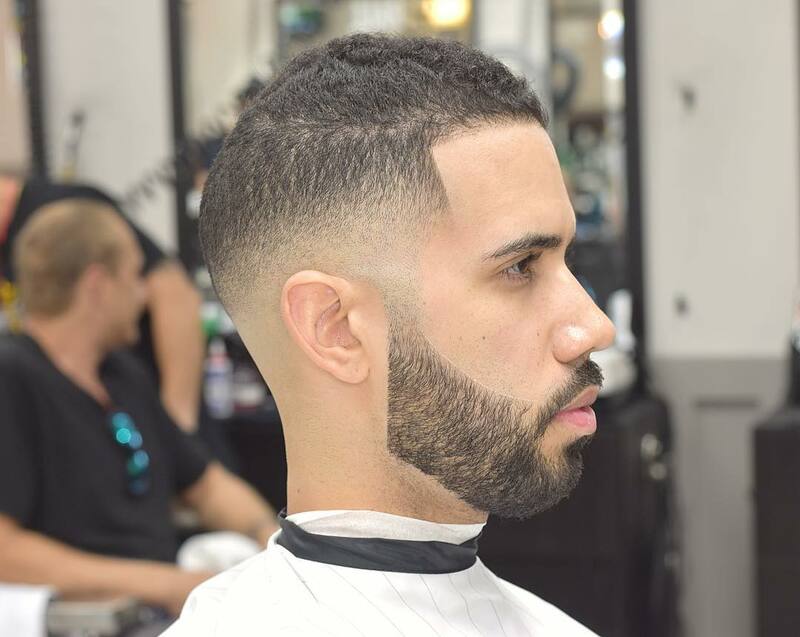 If you’re looking to up the way you style your hair, then you might want to try the drop fade plus a cool beard. It is trendy yet it looks classic and timeless at the same time. 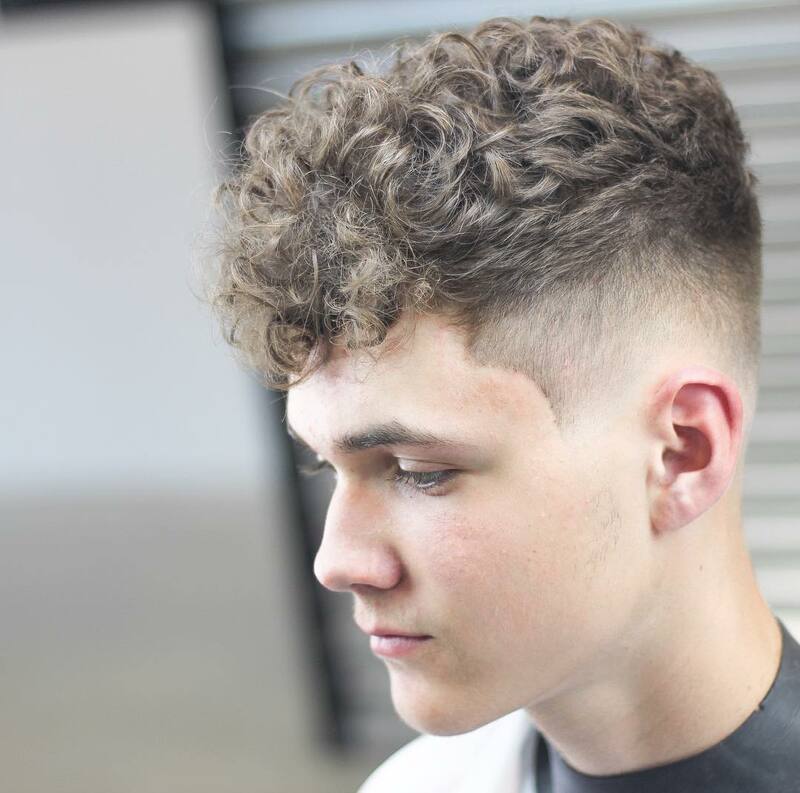 The curly hairstyle is a staple haircut for many men with naturally curly or wavy hair. 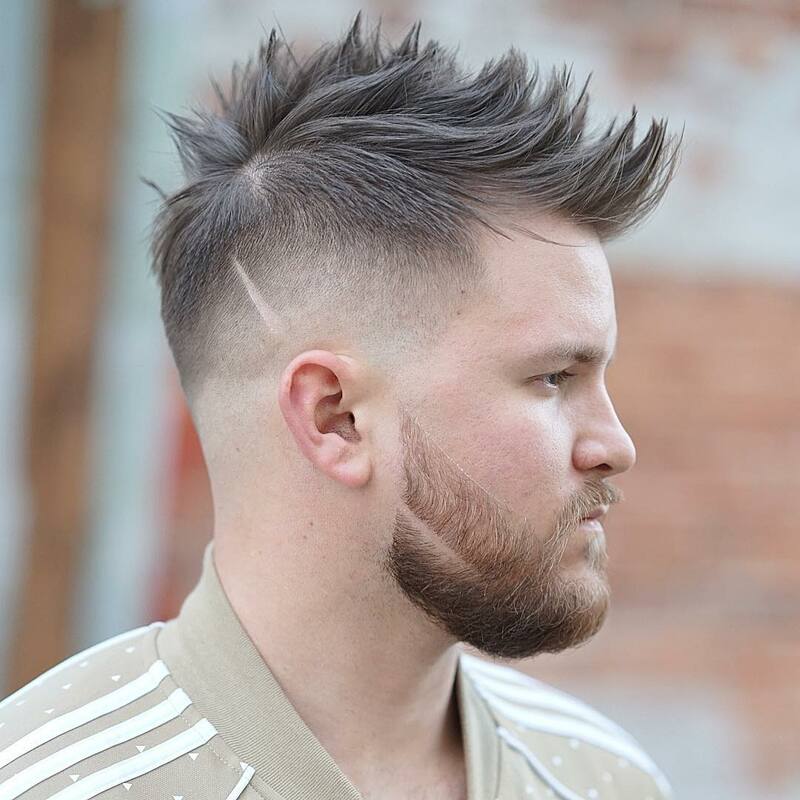 This haircut is cut a bit short on the sides to emphasize the thicker hair on top. Amazing and creative, isn’t it? 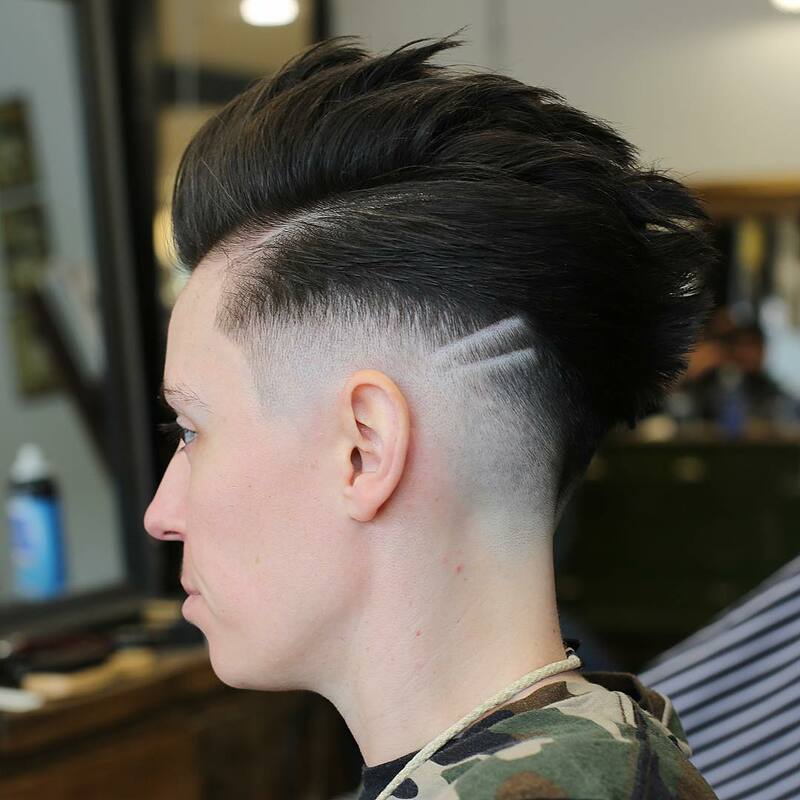 The classic undercut is a great way to add new life to your hairstyle. Maintain it with some styling products for long lasting hold. 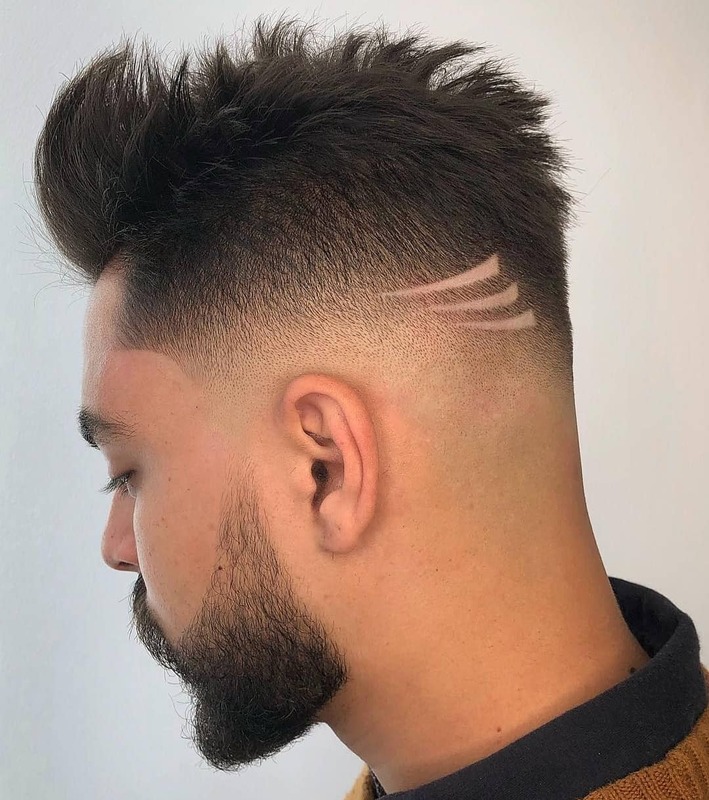 The sharp fade with the side part looks sleek and clean. With or without wax or gel, you can flaunt the short hairstyle on any occasion. 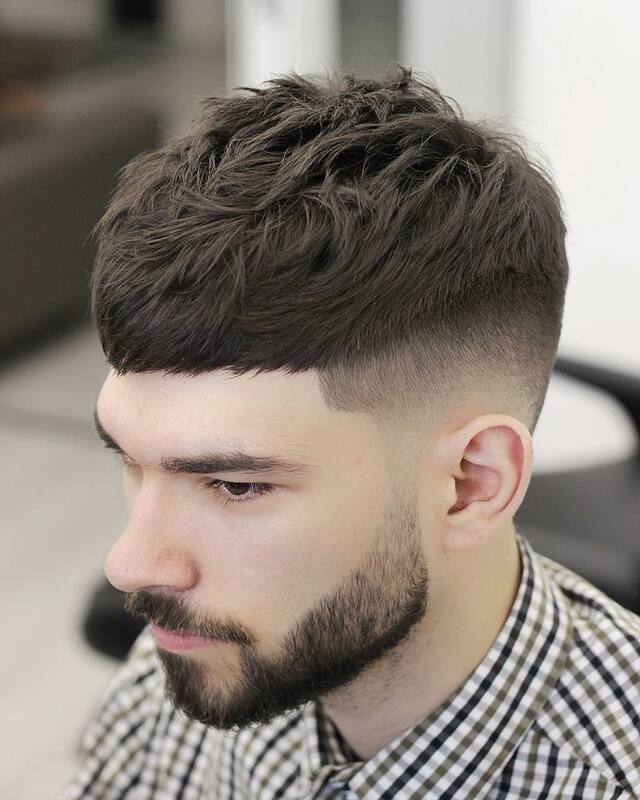 This classic square shape haircut is for men who want to display their fashion sense on their crowning glory. Check it out today! 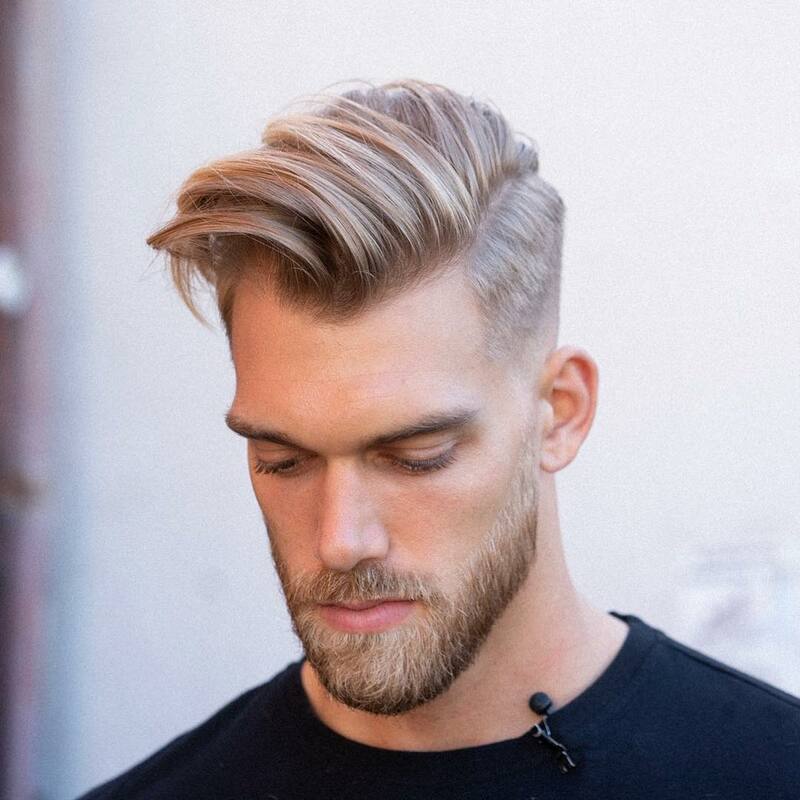 The short platinum hairstyle is the go-to haircut for men who want to flaunt a new look in school or at the office. 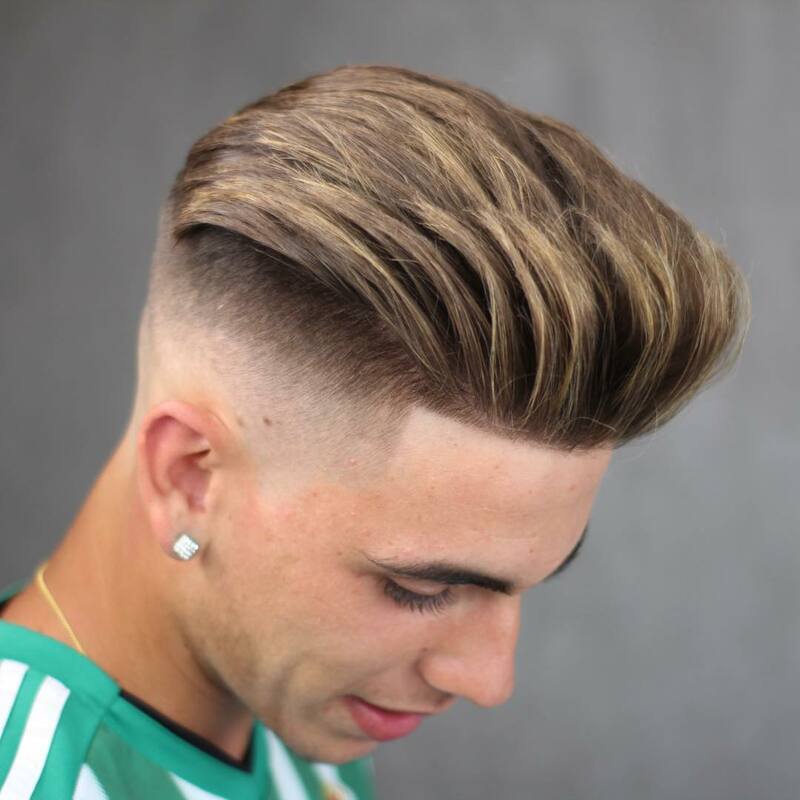 The cool mid fade hairstyle is for men who want to look trendy and fashionable with their new hairdo. It basically needs some styling products for shine and hold. 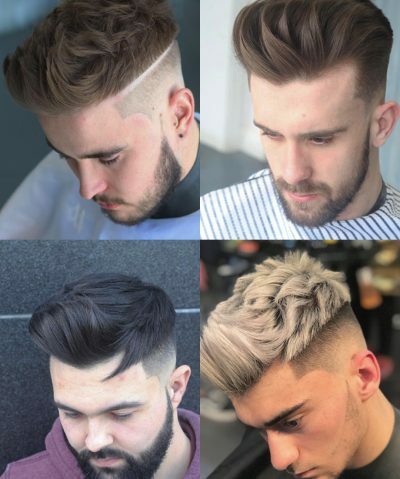 Ask your stylist for some advice and tips and get regular trimming to keep the style. This timeless slicked back haircut is classic and easy to style. It is for men with thicker hair, with or without hair dye. The hairstyle will look perfect with good hairstyling products. The texture haircut is for you if you’re looking to get that instant celebrity haircut. 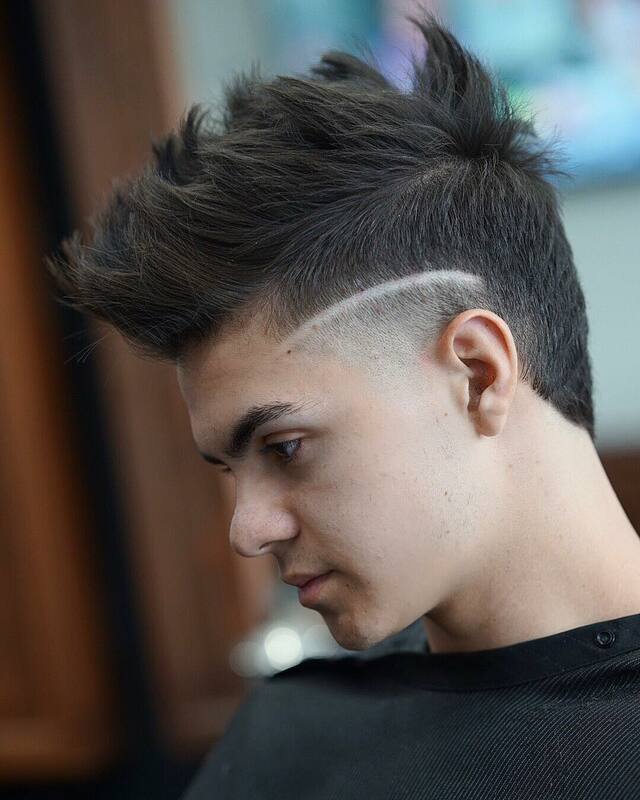 You won’t go wrong with this haircut especially if you’re someone who is not afraid to experiment on your style. Got curly hair? Try this hairstyle that requires less maintenance. Get that cool design and flaunt a new look! Check it out and look more dashing today! 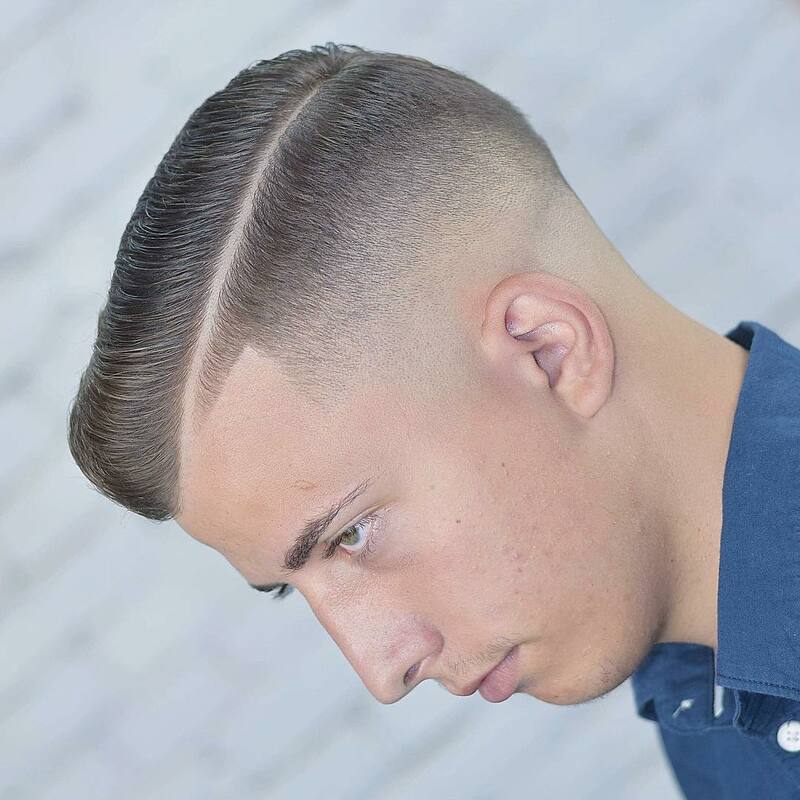 This clean fade is a balance of formal and casual. 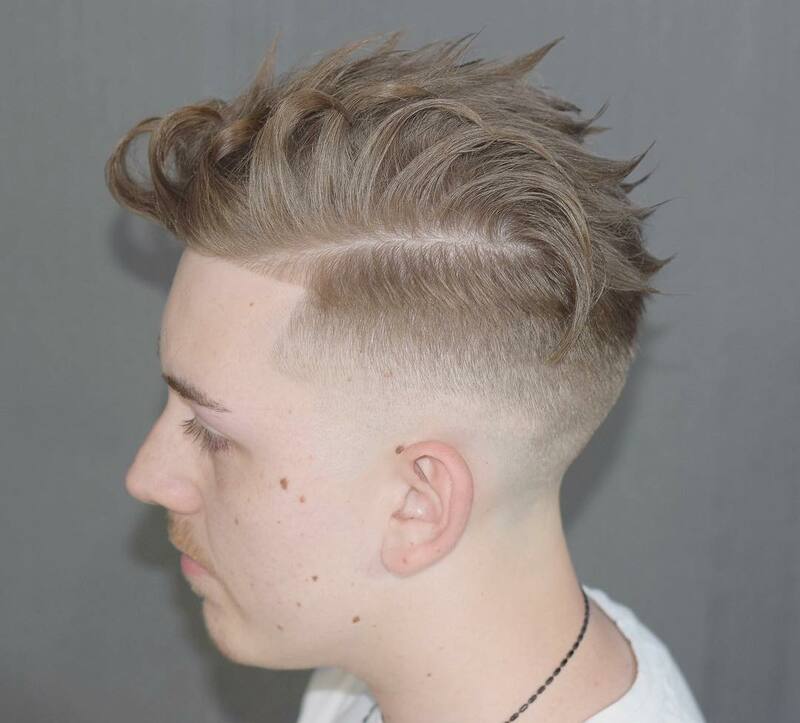 Cut short on the sides and long on top, this clean fade just looks amazing! 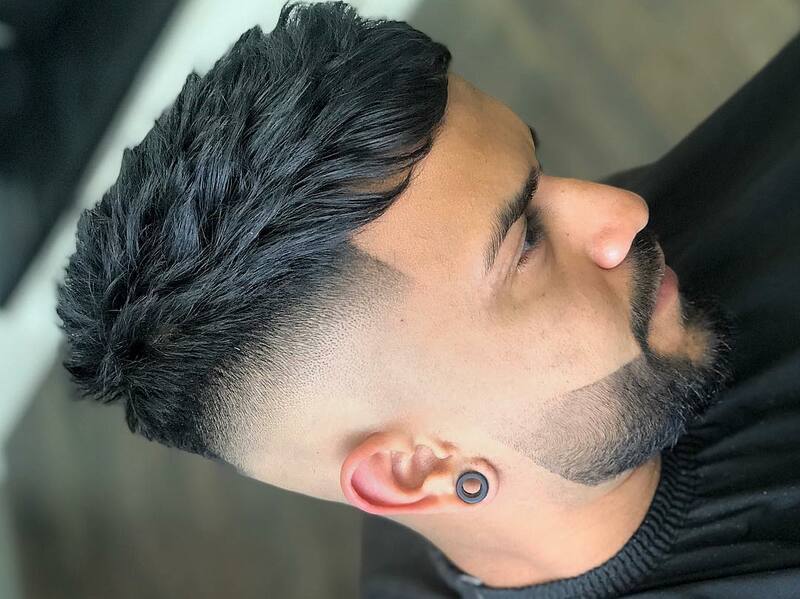 The fade undercut looks awesome and cool! It never goes out of style and can make anyone look fiercer and debonair. The classic spike looks cool on this guy, and surely on you too! Just use hair wax or clay to hold it in place. 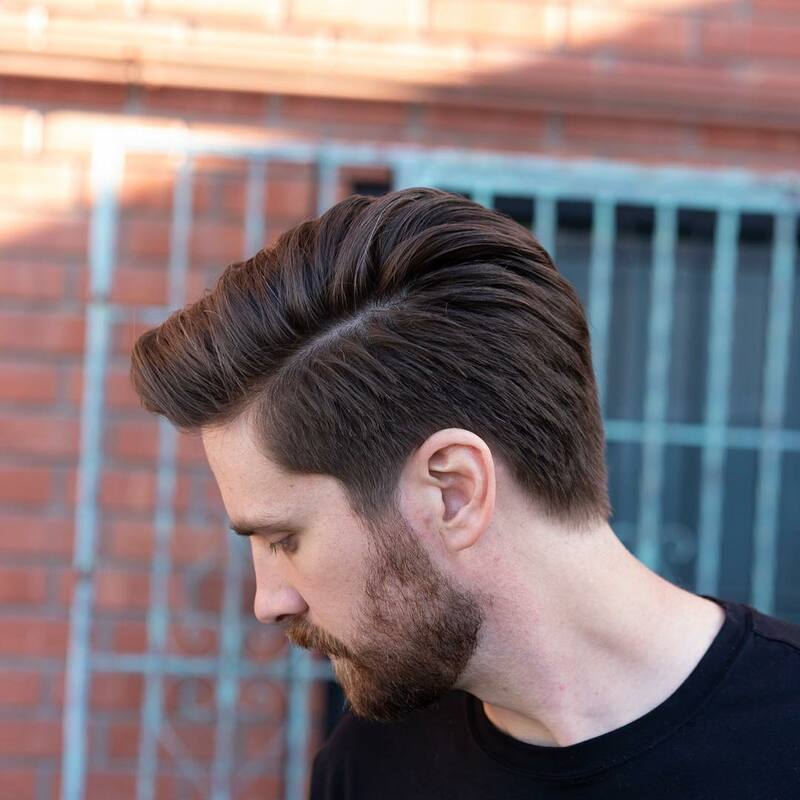 The medium haircut is easy to maintain with regular trimming. Just ask your stylist for a few tips and tricks on how to add spikes on top, perhaps? 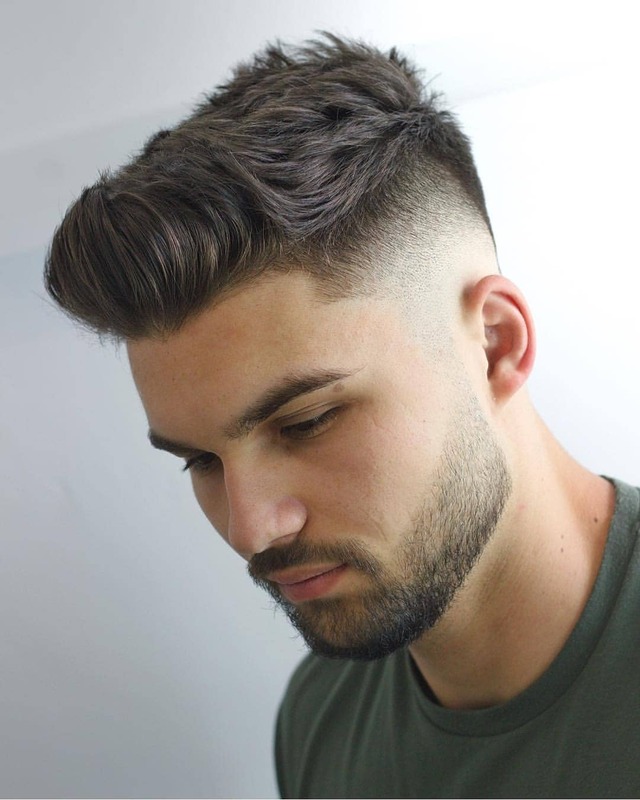 The super clean cut is the hairstyle for men who want a stylish top. 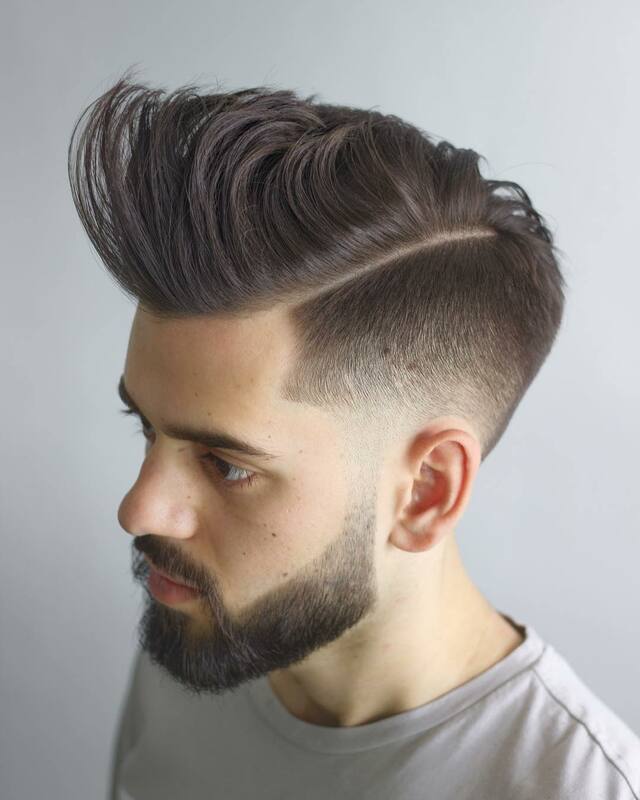 With a beard, you can add a twist to an otherwise plain haircut. The layered with stubble beard is for you if you want to experiment on a new haircut that looks clean and iconic at the same time. 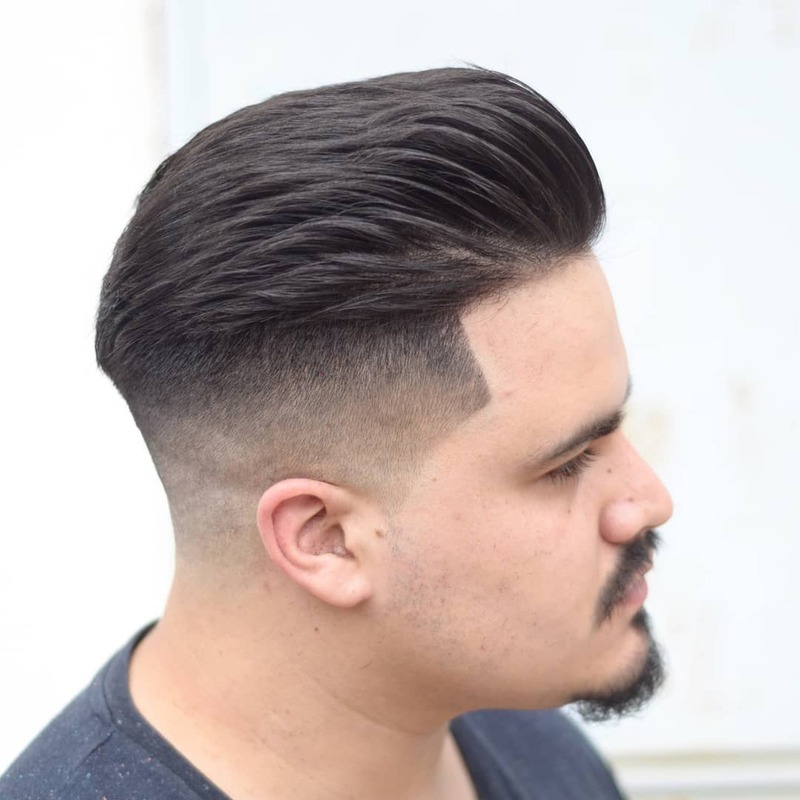 The fade slicked back is for you if you’re looking to level up you fade hairstyle. It has a slicked back that adds to the illussion of volume. Anime? 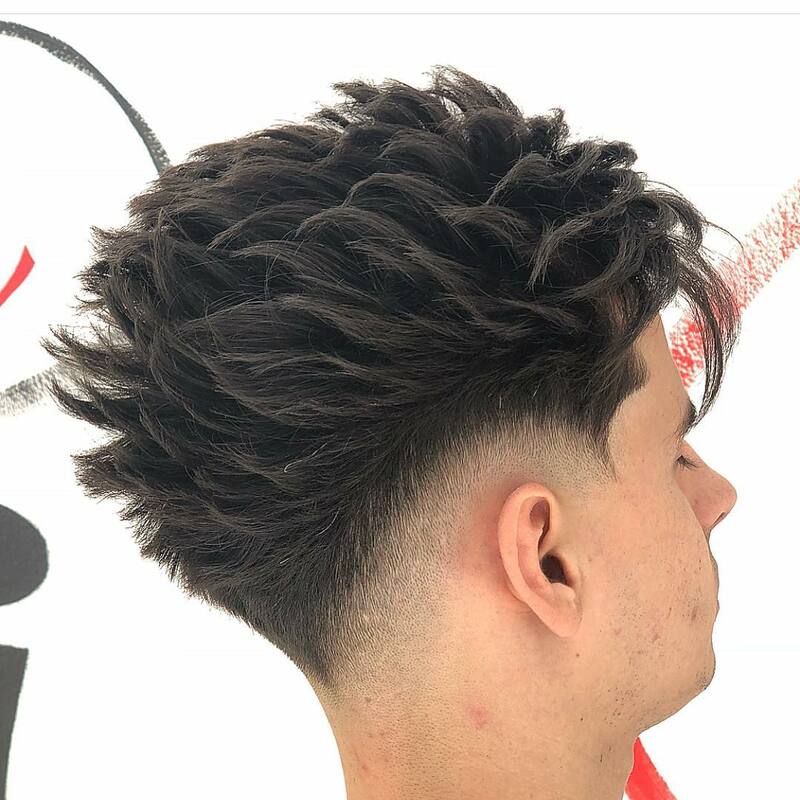 Well, you can describe it how you want, but this hairstyle is one of the most interesting styles we’ve seen in months. 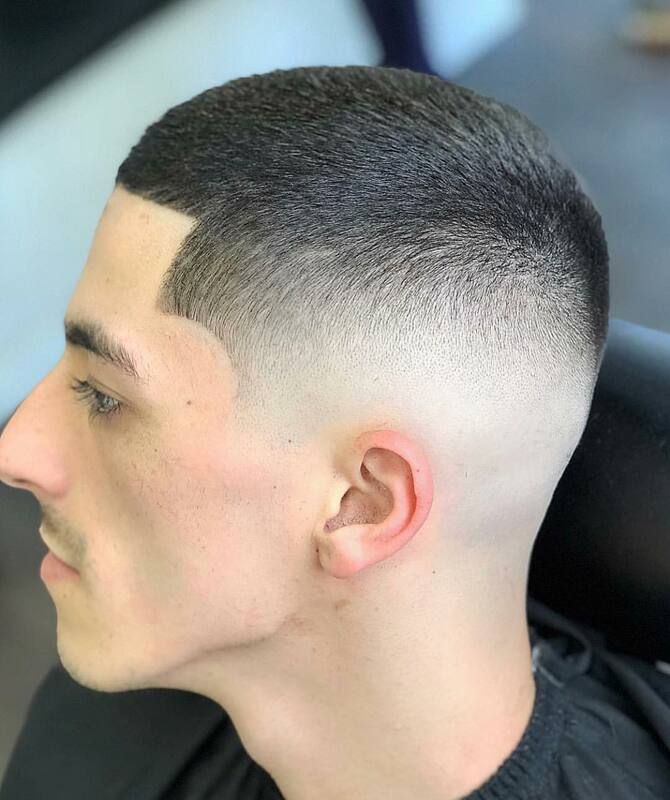 This clean mid fade won’t get you wrong because it is sleek and clean and requires less maintenance than other short haircuts. 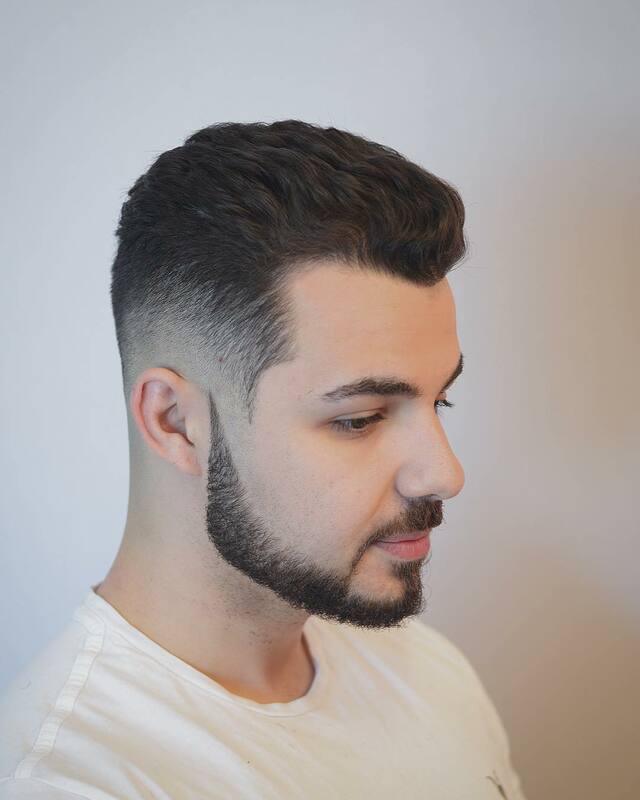 If you’re looking for a clean and simple haircut, you might want to give this textured and clean crop edge a second look. It has a defined shape and style that highlights this man’s best facial features like his expressive eyes. 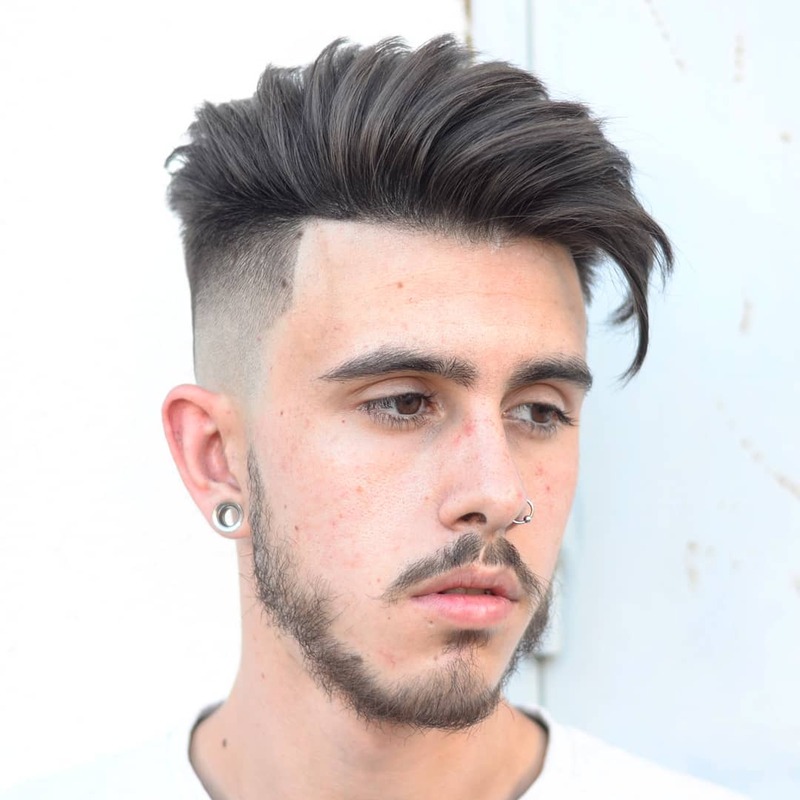 The electric and clean haircut is one of the best haircuts we found for this category. 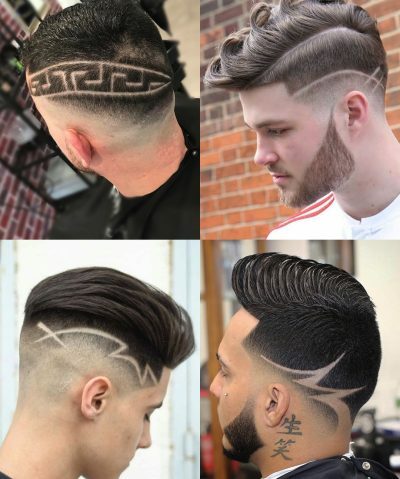 With some tattoos on the side of the head, any man would surely stand out with this new hairstyle. 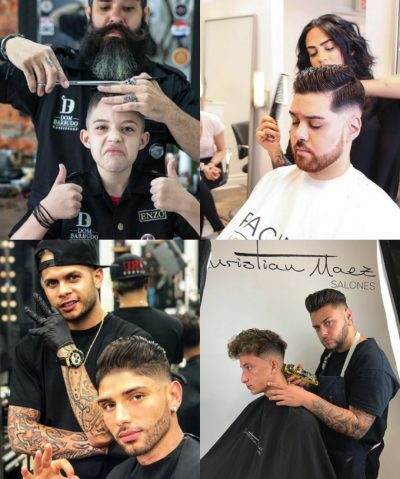 Are you looking for a new haircut this year? Why don’t you try the heavy spike with a hard part? 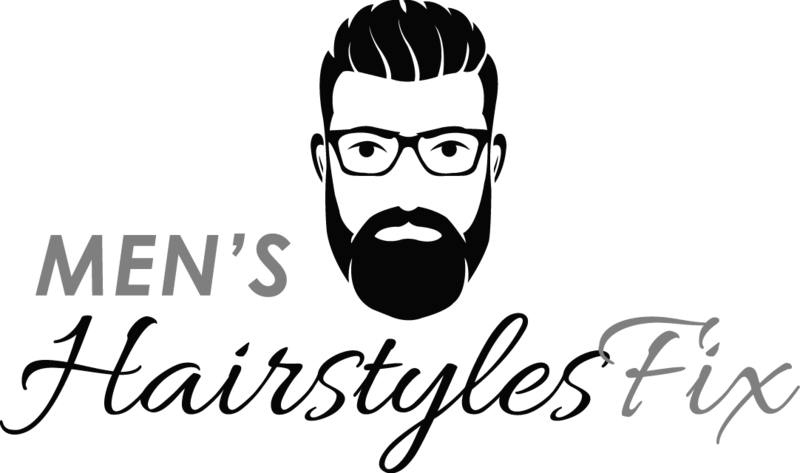 It looks iconic and well styled for any man who dares to look different and display a fashionable hairstyle. 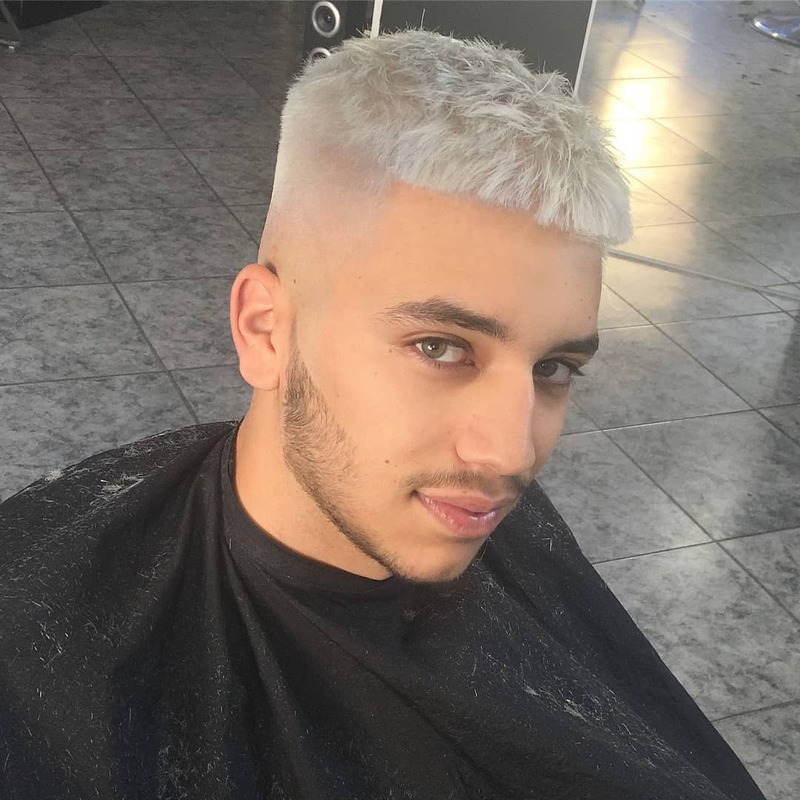 Steal the look by showing this photo to your barber today! This hairstyle is edgy and fierce. Who would have thought this combination would look this great? This hairstyle is a total head turner. There is no doubt that it looks unique, fashionable and manly. 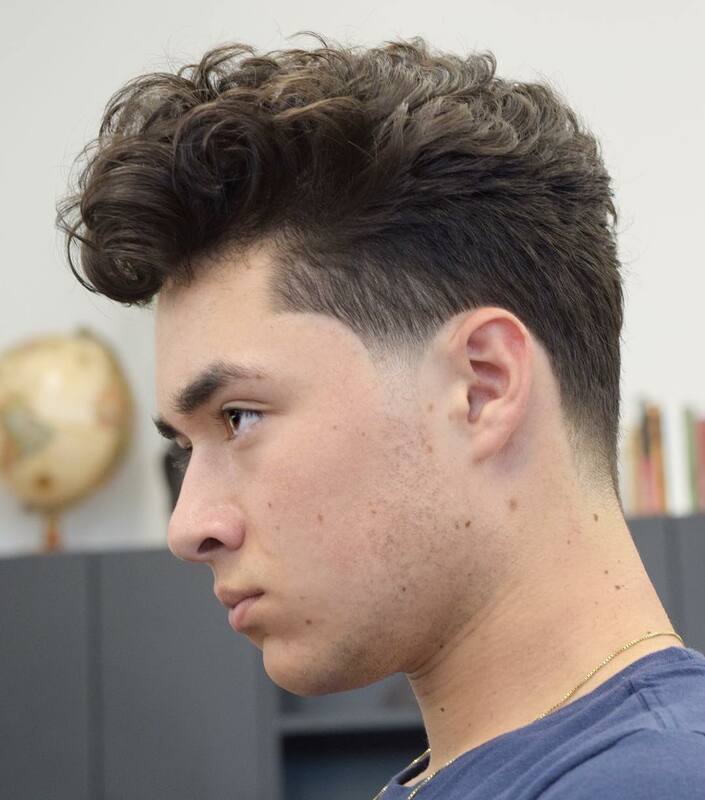 The curly hair with a soft fade is one of the coolest simple haircuts we found so far. Its soft curls on top are highlighted by the short sides. We think that the look is perfect for young boys and teens and any man who wants to flaunt a boy-next-door appeal. 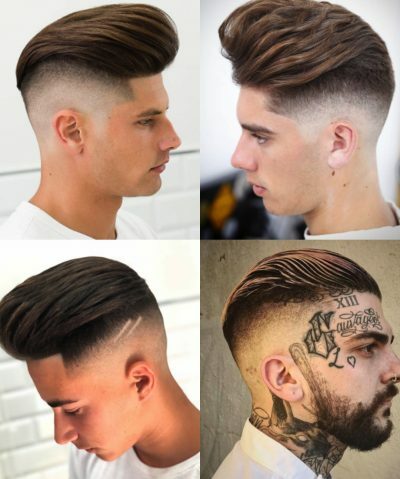 Have you chosen among these simple, regular and clean haircuts for men? Ask your stylist about it today!